Born in 1957 in Leningrad. In 1981 he graduated from the Leningrad Medical Institute 1. Urologist. PhD, have the highest category in the specialty. 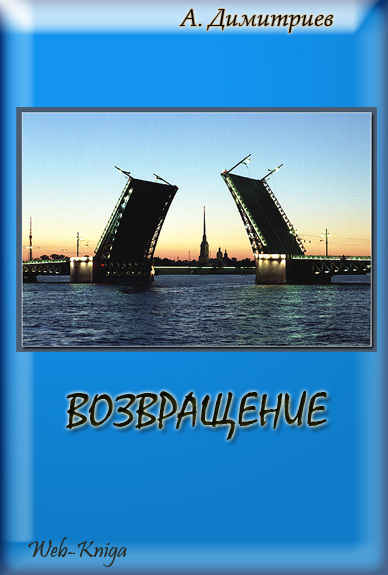 I live in St. Petersburg. Write began at age 15, the lifetime for this lesson back three times. Assuming his most intimate, never published. The need to share a piece of their lives with anyone who loves poetry, gave birth to the first publications on the Internet in 2007. This book - a collection of some of my texts in different years, obviously composed on the principle of respect for the chronological order they were written. This is my return to the past years, to the living. And my return reverse - not a poet, but a man - to our meeting with you, my dear readers. that will revive the five minutes before the collapse. I'm afraid that will not leave, rinse Lethe. time to pay - you! - Everything that I could not?